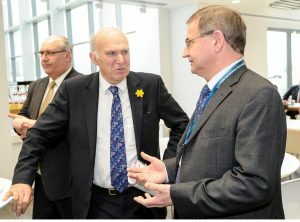 MK Lib Dem Leader Cllr Douglas McCall with Vince Cable when Vince was on a visit to Milton Keynes. We would like to welcome Sir Vince Cable as the new leader of the Liberal Democrats. Vince brings a wealth of experience, knowledge and gravitas at this crucial time for British politics and the Liberal Democrats. We would also like to thank Tim Farron for his work during his time as leader which saw a large increase in party membership and a 50% increase in the number of Lib Dem MPs.